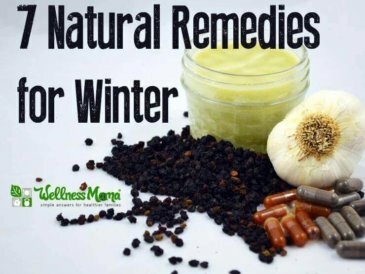 You probably already know that there are many natural remedies for colds and flu. One hundred years ago, families wouldn’t have made the trek to the doctor for something so easily managed at home. There’s a misconception that bronchitis is a very serious illness that always needs a trip to the doctor and a prescription. Though bronchitis can be serious, it almost always clears up on its own, although it may take a while. In the meantime, there are some natural remedies for bronchitis that can help speed healing and offer symptom relief. Bronchitis causes inflammation of the bronchial tubes, which carry air to the lungs. This and the excess mucus produced cause a cough and make it harder to breathe. Bronchitis most often occurs from a virus (like a cold or flu) but occasionally it’s caused by bacteria. In fact, 95 percent of acute bronchitis cases (bronchitis that doesn’t recur) are caused by viruses, not bacteria, meaning antibiotics are almost never needed. Most cases of bronchitis are acute (about a 5-10 day flare-up). Chronic bronchitis is bronchitis that happens persistently, usually caused by environmental factors like cigarette smoke or excessive pollution. Since bronchitis most often occurs after a viral illness, many of the symptoms of bronchitis are similar to a cold or flu. The main symptom of bronchitis is a cough that is persistent and productive (brings up phlegm). To know when a cold is turning into bronchitis, pay attention to the symptoms. If a cough becomes more productive or if you feel like you have a “chest cold,” you may have bronchitis. As always this is the advice of a mom and not a doctor, so check with one if you have any concern about your symptoms. Some troubling signs might be if you have a cough for more than two weeks, a fever, produce bloody or colored mucus, or have any wheezing or other difficulty breathing. Uh… these side effects sound very similar to the original illness! This is the main reason I prefer to use natural remedies for bronchitis and colds instead. OTC pain relievers like Tylenol can be harmful (and overdosing is common) especially in children whose livers aren’t as good at processing toxins. It also makes sense to avoid putting toxins into a body that is already burdened by fighting an illness. As far as cold medicines, there’s no hard evidence for or against taking them for bronchitis, so I wouldn’t risk the side effects or the burden on the body. In my view, a good dose of elderberry syrup will do more to fix the problem and heal faster than cold medicines do. Though medications have their place, my first choice is always a more natural approach to avoid side effects and risks. Bronchitis can bring on miserable symptoms, but conventional treatments come with some hefty side effects. 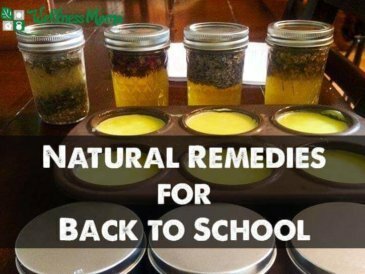 These are some of my favorite natural remedies for bronchitis. If bronchitis is brought on by cigarette smoke or other environmental irritants, the first thing to do would be to remove those irritants. An air filter or purifier is helpful in removing irritants that are causing respiratory problems. Sleep affects almost every aspect of health, so getting enough sleep and rest are really great starting points to fight illness. For those who have trouble sleeping on a regular basis, getting good sleep regularly can help keep the body at optimal germ-fighting ability. It’s always a good idea to eat healthy food, but during an illness it’s especially important. Since bronchitis is often preceded by a cold or flu, boosting the body’s ability to fight illness is important. Eliminate white foods. This includes grains, sugars, milk, cheese, dairy, sweeteners, soda, etc. These foods suppress immune function and slow the body’s ability to heal. Eat homemade chicken soup. Chicken soup contains cysteine, a natural amino acid, which helps loosen mucus so it can be expelled more easily. Focus on high nutrient, anti-inflammatory foods when hungry, but don’t force eating. The body doesn’t need to eat much while sick and fasting allows the the body to focus on healing rather than digestion. Hydration is incredibly important for optimal health but is especially crucial during illness. If fighting a fever too, the body needs even more water than usual to avoid dehydration. 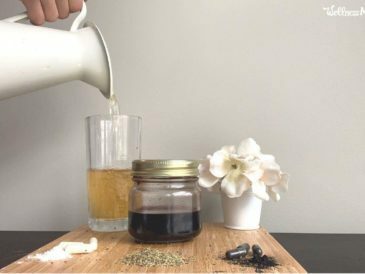 Herbal teas and water are the best choices to keep hydration levels up. Getting enough fluids also helps loosen mucus and moisturizes the throat. A humidifier in the bedroom at night or throughout the house in the day can make a huge difference in breathing. Moist air soothes and relaxes the bronchial tubes making breathing easier. Honey is one of my favorite home remedies since it’s powerful and yummy — even kids love it. It soothes irritated mucous membranes and is effective against upper respiratory infection in children. Swallow a spoonful of honey (let it sit at the throat if possible) as needed. Herbs are a great way to deal with ailments naturally and are backed by science. Echinacea – This herb has been used for centuries by Native American tribes to treat colds, flus, and similar illnesses. A 2011 study showed that echinacea has potent antiviral properties. All strains of human and avian influenza viruses tested (including a Tamiflu-resistant strain) were very sensitive to a standard echinacea preparation. Other illnesses that echinacea were found to be useful for are herpes simplex virus, respiratory syncytial virus, and rhinoviruses. Astragalus – This herb that can boost the immune system. According to Traditional Chinese Medicine, astragalus has specific action on the lungs. According to the University Maryland Medical Center, astragalus can help prevent upper respiratory infections. Another study shows that astragalus is helpful in reducing inflammation. Ginseng – Well known even in mainstream health, ginseng is a potent herbal remedy. Ginseng has anti-inflammatory and antioxidative properties which help boost immune function. Because our food is so depleted of important nutrients (even the healthy stuff! ), supplements can be very helpful to give the body what it needs to function properly and heal. 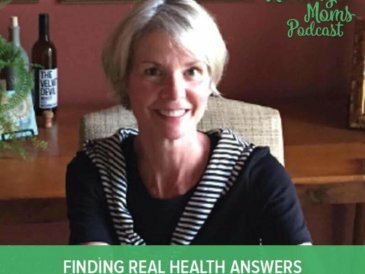 Glutathione – Glutathione is the most important molecule for optimal health (as mentioned by Dr. Mark Hyman in this post) and is necessary to help the body fight infection and illness. Try 1 sublingual tablet daily for general immune support. N-acetylcysteine (NAC) – A study published in the European Respiratory Review shows that this amino acid derivative can be useful for treating chronic bronchitis as this supplement increases glutathione in the body. I use this one. Vitamin C – Vitamin C is one of the most common remedies for colds and flu, but vitamin C can also be beneficial in treating bronchitis. Studies show vitamin C to be a useful tool against viral and bacterial infections by preventing, shortening, and alleviating infections (including respiratory). In one study, mega doses of vitamin C (3000 mg daily in 3 doses) relieved and prevented symptoms of cold and flu. This is the best supplement I’ve found. Essential oils can be incredibly potent natural remedies when used safely. For respiratory illness, steam inhalation or diffusing are the best ways to use essential oils. Eucalyptus – A 2009 study published in Respiratory Research shows that eucalyptus oil can reduce airway inflammation and improve lung function. Oregano and Thyme – A study published in Microbial Ecology in Health and Disease found that oregano and thyme essential oils have potent antibacterial action. (It is not safe for children or pregnant women, and possibly breastfeeding women as well). 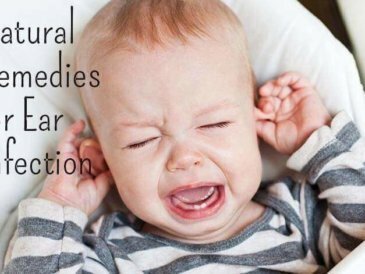 According to the National Association for Holistic Aromatherapy (NAHA), other essential oils for bronchitis treatment are spike lavender and rosemary (both unsafe for children under 6 years old), and tea tree oil for steam inhalation. The best way to avoid illness is to eat a healthy diet, and live a healthy lifestyle every day. But illness is still going to happen occasionally. When bronchitis strikes, natural remedies are the best first line of defense that may also improve overall health. 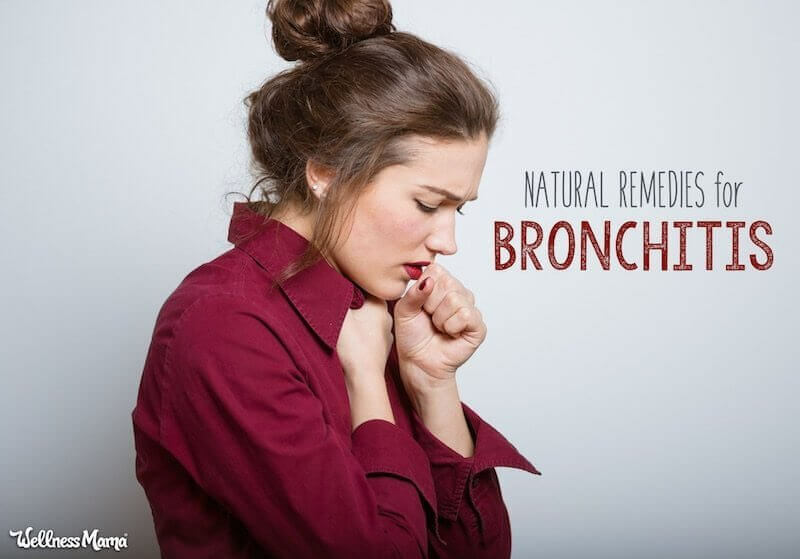 Have you treated bronchitis naturally in your home? What was your experience? Smith SM, Schroeder K, Fahey T. Over-the-counter (OTC) medications for acute cough in children and adults in community settings. Cochrane Database Syst Rev. 2014;(11):CD001831.